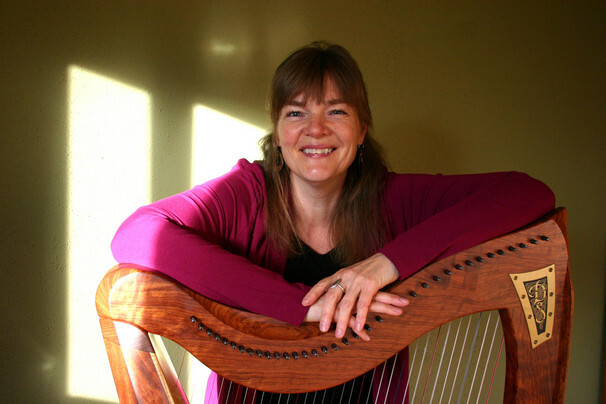 CALLING ALL HARP PLAYERS OF ALL LEVELS ! 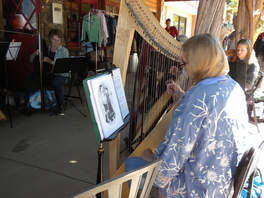 Harp Circle is an opportunity to have fun no matter how much you have played the harp! 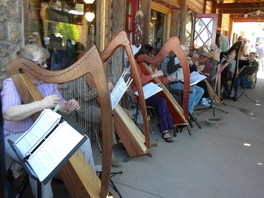 We will meet during the late afternoons on Wednesday through Friday of the Spanish Peaks harp retreat. As soon as our daily workshops have ended for the day, we will meet in the workshop room at the La Plaza Inn. I have songs from harpers who have attended in the past and songs from some of our past retreats. All songs and arrangements are used by permission of the composer or arranger. I also ask that you purchase a copy of Finale! 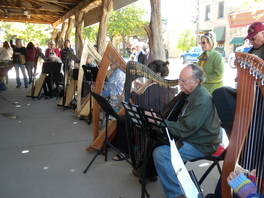 This is a collection of Celtic tunes that is available from Kolacny Music online or by phone, in Denver. You may call 1-800-870-3167. 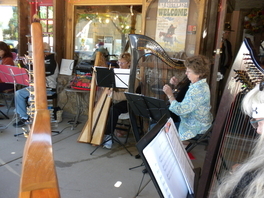 They are wonderful folks at Kolacny Music store. They will help you find anything you might need. 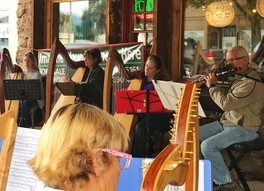 If you would like to attend the harp circle, let me know. I will email or mail you copies of pieces that we may play together in the months prior the 2016 retreat. 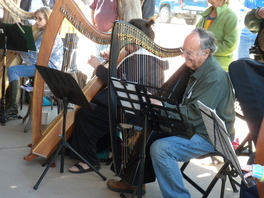 Even if you have played the harp a short time, you may join us and play one hand or one note in each measure. 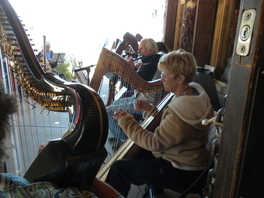 This circle is for fun and enjoyment of the harp. 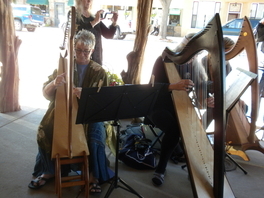 On Saturday, we will drive over to La Veta, where we will eat our bag lunches and set up our harps in front of one of the store fronts on Main street. We usually play from 1:00 until around 2:30. 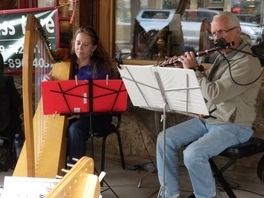 We have had some beautiful fall afternoons playing on Main street! If you would like to contact me regarding any questions about harp circle, please email Julie@taosherb.com or call me at575-758-8176. I will be glad to talk to you. I hope to see you there!